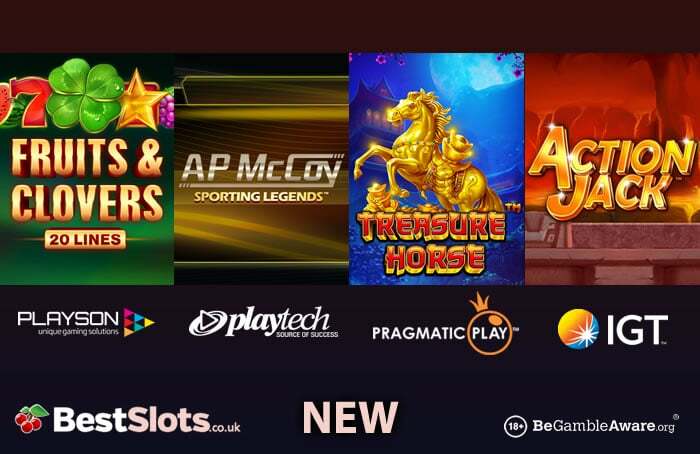 There’s a strong equine feel to this week’s new slot game releases with AP McCoy: Sporting Legends and Treasure Horse both going live. Also on offer is a classic fruity, Fruits & Clovers: 20 Lines and the exclusive Action Jack. Powered by IGT, Action Jack is a 5 reel, 40 payline offering where you go on an Aztec adventure. Set deep in the jungle, it comes with a Synchronised Reels feature where stacks of symbols appear on various reels for increased winning potential. Action Jack focuses on the Free Spins Bonus feature where a whopping 500 free spins can be won in total – a 3x multiplier also applies which can lead to wins of 3,000 times your stake on every free spin. Make sure you join Action Jack on his adventure today – it’s exclusively available at Coral Casino by the way. 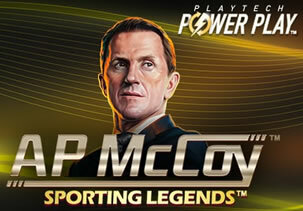 First up though is AP McCoy: Sporting Legends, a 5 reel, 243 ways to win slot game from Playtech that stars the 20-time champion jump jockey. The design here is a little unusual and you wouldn’t register that it’s a racing-themed slot game on first view. If it’s not a thoroughbred as far as visuals go the gameplay is much more impressive. The highlight is the Winning Line Free Games feature where spinning the bonus wheel can bring big multipliers up to 49x into play. You can up your stakes and spin in Power Play mode where winnings from each your 5 linked spins are accumulated and carried forward. You can add extra wilds here too. Rounding out the extras is the chance to land a potential progressive jackpot – the Mega Jackpot is worth over £620,000! If you like racing, AP McCoy: Sporting Legends belongs in the winner’s enclosure. More horsey action, albeit with a strong Chinese flavour, is on offer in the second new release Treasure Horse. There’s a historical feel to this 3 reel, 18 payline slot game from Pragmatic Play. The best chances of riding off with a bumper haul of coins comes from the Free Spins feature where you’ll begin with 8 free spins. Joining the standard game engine is a fourth multiplier wheel which boosts payouts by 2x right up to 6x. You can add more free spins to your total too. The traditional visuals and Chinese-style soundtrack are well put together and the simple gameplay delivers plenty of action. 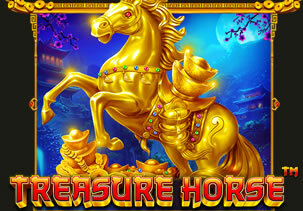 If you like the Asian theme then Treasure Horse is a game to consider as you can win 6,000 times your stake on each free spin. Rounding out our hat-trick of new arrivals is Fruits & Clovers: 20 Lines. Part of the Classic Fruit Collection from Playson, this super simple game does exactly what it says on the tin. It’s a 5 reel, 20 payline fruit machine complete with added clover symbols! You won’t find any bonus rounds or features here. Though the visuals are pretty slick this is as old school a slot game as you’ll find anywhere. The only extra to speak of being the stacked clover wilds. 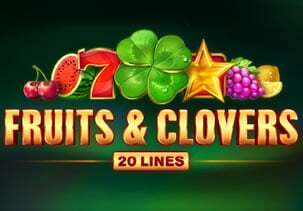 It might be a bit vanilla for some tastes but if you want an old school blast, then Fruits & Clovers: 20 Lines does just that – there’s up to 819 times your stake available from each spin.